Wall Street Strategies, Inc. is an independent stock market and equity research company. Charles V. Payne, the Founder and CEO, has provided award-winning, actionable equity research advice since 1991 to financial institutions, portfolio managers, brokers, and individual investors. Wall Street Strategies offers a suite of premium research products, ranging from swing trading services to longer-term portfolio building guidance, to its global client base. Charles Payne's daily market commentaries are world renowned. Charles' stock selections reap sizable profits for his subscribers and viewers. 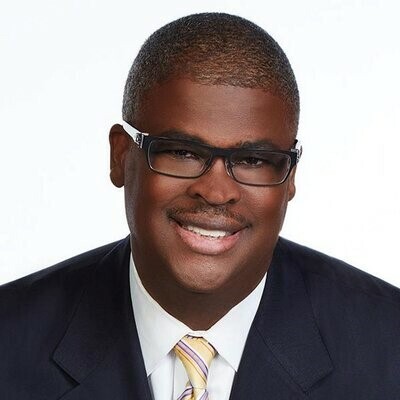 He is featured on the Fox Business Network Monday-Friday at 2 PM ET on "Making Money with Charles Payne." He is a member and occasional host of "Varney & Co." In addition, he guest-hosts several shows including "Cavuto on Business" and "Your World". Charles is not only widely recognized in the media sphere as a thought leader on stock markets and politics, but he is also the best-selling author of "Be Smart, Act Fast, Get Rich." In his book, he helps the average investor demystify the stock market and profit from it, explained in a manner that only he could deliver. We are located at 111 Town Square Place Suite 1510 Jersey City, NJ 07310. We can be reached on 800-286-1145 or 212-514-9500. WStreet is not a broker dealer, a software program or a trading platform. The "Making Money with Charles Payne" show can also be heard on channel 113 on Sirius radio.